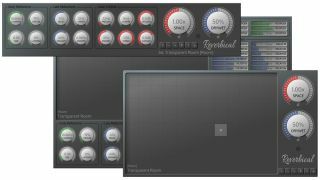 RealtimeOnly claims that not only is its new Reverbical plugin a state of the art stereo reverb unit, but that it also offers a unique preset-based interface that makes operation easy and isn't focused on a slew of parameters. Reverbical features a grid that enables you to switch between 96 presets just by clicking. This means you have quick access to a wide range of different 'spaces' - from light ambiences to large halls - and that you can switch between them in real time. The presets' size can be expanded or reduced with a single Space control. If you want to keep things simple, that's all you need to know, but further controls can be accessed by opening the Deep Tweak view, which features a wide range of typical reverb parameters. There's even a rack-style view if you're that way inclined. Find out more on the RealtimeOnly website. Reverbical is available now for $49 (this is an introductory price) and runs on PC and Mac as a VST/AU/AAX plugin. There's also a demo for you to try.